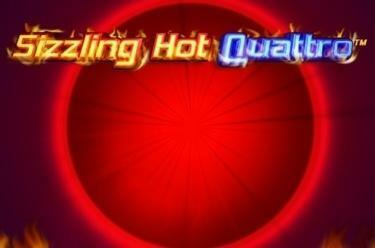 Play Sizzling Hot Quattro™ online for free now! 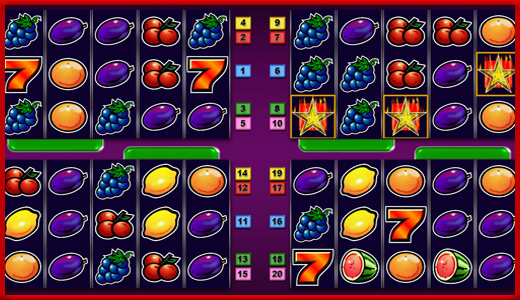 4 slots, 4 chances to win: The hottest fruits are on the loose yet again - this time on 4 slots at once! Experience the classic slot machine Sizzling Hot™ Deluxe in this exciting version - with just one bet you have 4 fantastic winning chances! So let those reels spin and bring the winnings on your player account to the boil with blazing flames! Sizzling Hot Quattro™ boasts 4 slots with 5 win lines each. It is your goal to land 5 identical symbols in succession along one or more win lines. Your winning patters run from left to right along the reels. Winning combinations always start on the left and run along the win lines without interruption. Land a row of at least 3 like symbols or 2 successive cherries and your fiery winning streak has already begun! Scatter symbols count towards a win on any position on the reels.